Clay pigeon shooting used to be an exclusive sport enjoyed by a privileged few, but thankfully things have changed and now anyone can give it a go. Unsurprisingly, this activity has become very popular with hen parties who seem to enjoy the noise, kick and smell of the gun as well as the satisfaction of blasting those little discs to smithereens. You will receive one to one tuition from a qualified instructor who will tell you how to hold the gun and where to aim as the clays whiz past you from different directions. Don’t worry if you miss a few at the start, after a few rounds you’ll get your eye in and your hit rate will start to increase. At the same venue you can do quad bikes, mud buggies &, paintballing too. Why not make a day of it? 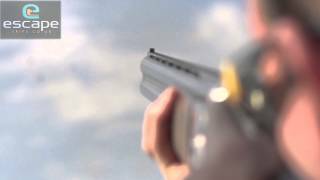 View our Clay Pigeon Shoot £42 video and get an idea of what to expect on this activity.